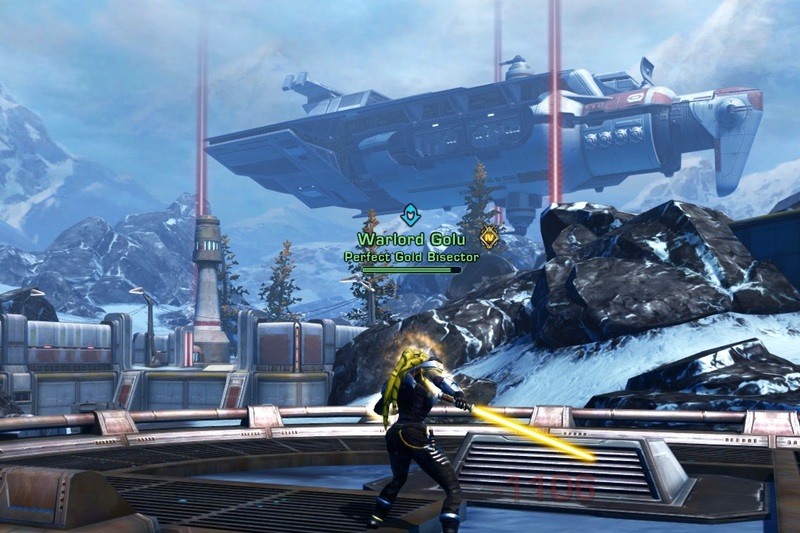 Going Commando | A SWTOR Fan Blog: Testing Success! In my last post I talked about wanting to do some PvP on the PTS but being unable to do so because the testing session was scheduled to start at a bad time for Europeans. What else can I say but that Bioware immediately responded (not literally, I'm sure they were planning to do it anyway) by announcing that another session would be taking place on Saturday at a time that was morning for them, but afternoon for me and therefore a great time to join in. Cal and I jumped in shortly before the scheduled start time and had a surprisingly good time. Actual testing "work" aside, I've got to say that it was really refreshing to play with people who were all there because they love the game and genuinely enjoy PvPing, without any of the less pleasant individuals you can get in regular warzones at times, such as those who are only there for the CXP and are just waiting to give up and AFK in a corner as soon as things don't go their way, or players who just don't have a clue what's going on. Not that I think there's anything wrong with being new... but I can't deny that it was fun to see whole teams focused on the objectives for once. 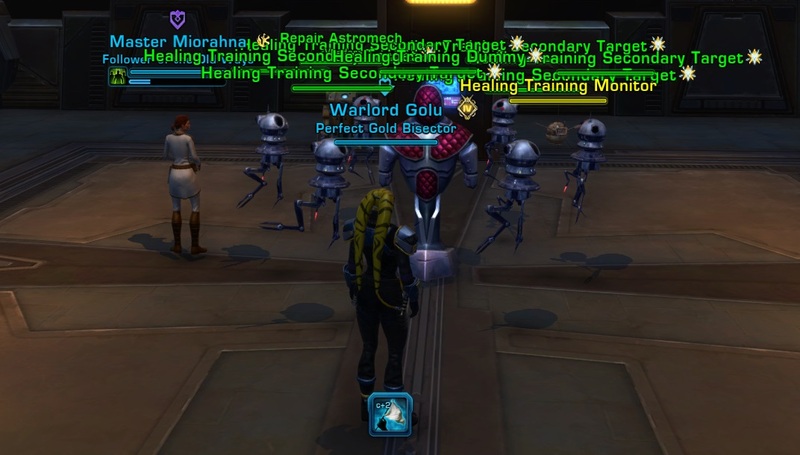 I can't recall the last time I played a Huttball match on live where literally everyone was going after the ball with as much zeal as people did on the PTS. The cross-faction queuing seemed to work well enough to guarantee fast pops even with a limited pool of players to draw from, which was nice, despite of my scepticism about the feature. Based on experiences with other games, I just worry that cross-faction queuing might be one of those things that won't immediately turn many people off, but that might get blamed for causing the game to lose some of its flavour later on. Anyway, as of now the only obvious downsides were some wonky assets, such as scoreboards in a clashing mix of colours or both teams in Alderaan Civil War starting from an unholy amalgamation of both the Republic and the Imperial ship. As for how the actual match-making was working... it was honestly hard to tell! As I said, most matches were pretty fun and balanced, but was that because of the new matchmaking or because the type of people that bother with going on the PTS to PvP all have pretty similar skill levels? Role matching didn't seem to be quite there yet, with many of the 8v8 matches sporting 3-4 healers per side, though Eric has since confirmed that this looks to just be a side effect of the over-abundance of healers on the PTS, as they've decided to not enforce the originally planned "hard cap" of two tanks or healers per team for now (which I am fine with). We'll have to see how that works out on live though. Between matches we also had another poke around the Rishi stronghold. Even though I don't expect the custom arena to see much use, it was kind of fun to mess around with. There were still some things going on with it that left me unsure whether they were bugs or features, such as someone flagged as Frogdog and someone flagged as Rotworm being able to group up, or people who get knocked off the edge popping right back up to where they fell off instead of dying or being sent back to the starting area at least.